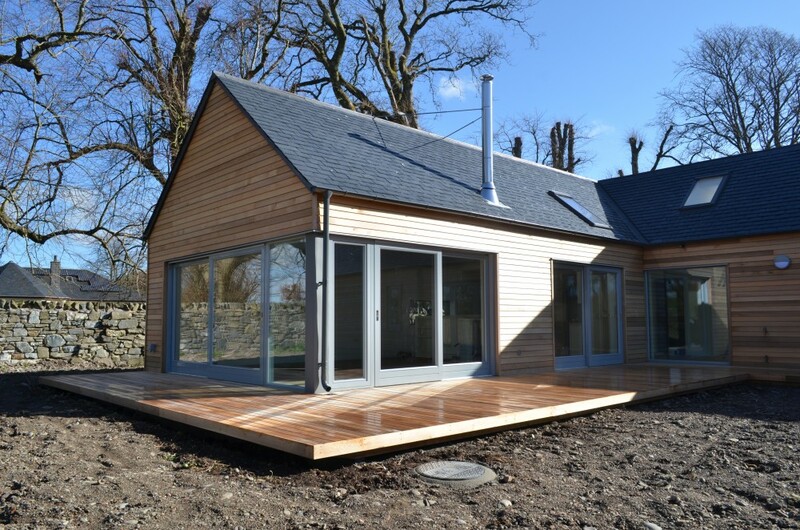 The original site was covered in trees and shrubs and was part of the garden of a larger house in Kirkcudbright. Following a tree survey, the site was cleared retaining mature trees on the boundary and one particularly good example of a Tree of Heaven, around which the house is laid out. 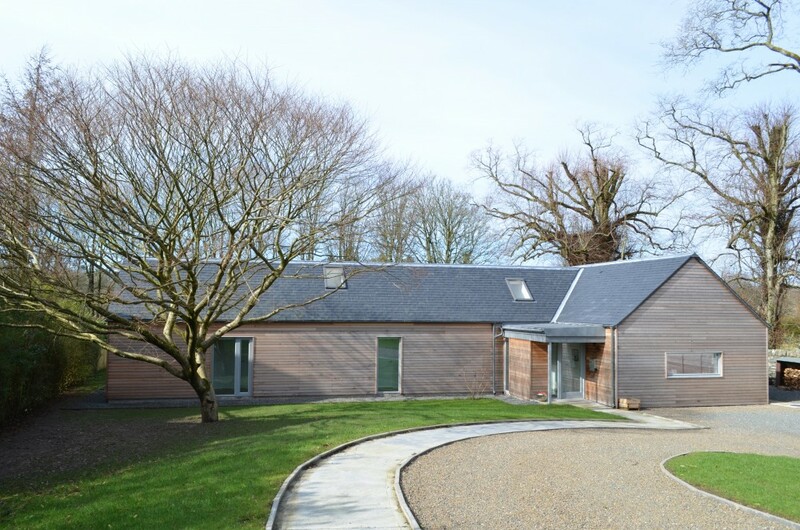 The client required a family home with privacy to the garden ground to the south, an artist’s studio and large garage / workshop for cars. 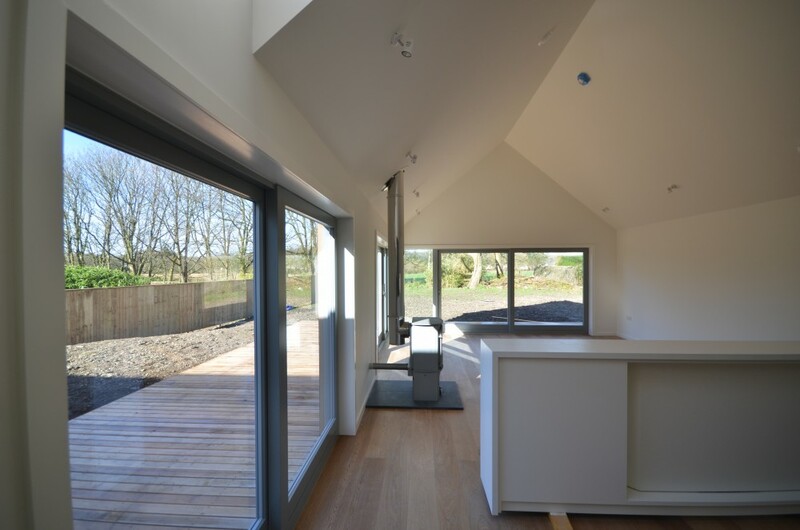 The house is very highly insulated and has an air source heat pump, underfloor heating, and a whole house heat recovery ventilation system.